Board certified Internal Medicine Hospitalist Dr. Ronald Hartnett attained his medical degree from the State University of New York Health Sciences Center at Brooklyn in New York. He subsequently performed his internship and residency in Internal Medicine and his residency in Surgery at the State University of New York – Kings County Hospital Center. 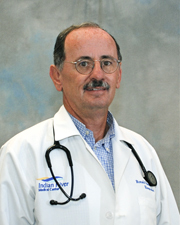 Prior to Indian River Medical Center, Dr. Hartnett was affiliated with several medical institutions, including the Peace River Regional Medical Center and the Fawcett Memorial Hospital in Port Charlotte, Florida.